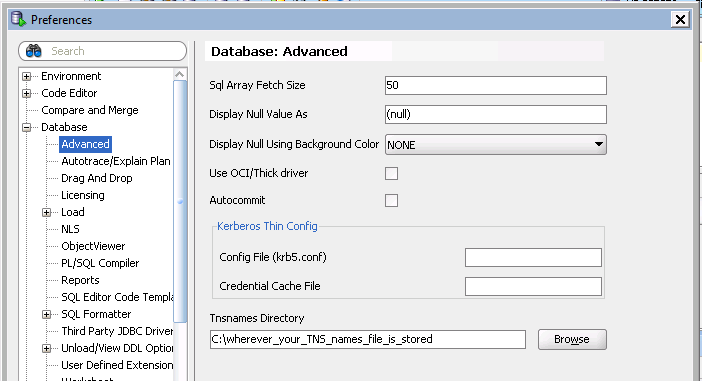 This is a short tutorial on showing you how to setup SQL developer to use your tnsnames.ora file for new connections. 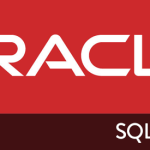 In this example I am using SQL Developer Release 3. 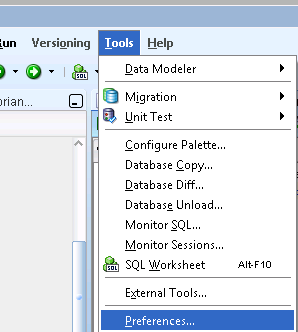 While in SQL Developer, browse to Tools, then to Preferences. Then expand the Database component, click on Advanced, and under the “Tnsnames Directory”, browse to the folder where your tnsnames.ora file is located. And your done! Now new connections or current connections you can connect via the TNSnames options. Simple enough. So when I create a new connection I should see a list of the definitions in the tnsnames.oca file? I don’t. Perhaps I need to select the TNS type of connection? I tried that too.